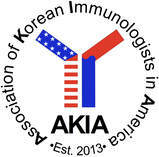 Since its establishment in 2013, the AKIA (Association of Korean Immunologists in America) has promoted scientific interaction not only among the immunologists who actively operate scientific programs in the US but also between those in US and Korea. Starting in 2014, the AKIA has hosted a joint guest symposium with the Korean Association of Immunologists (KAI) in both annual AAI conferences and KAI conferences. I specially thank Drs. Charlie Surh (Postech) and CheongHee Chang (U Michigan) for implementing the first AKIA meeting in La Jolla, Drs. Jae Jung (USC), Chang Kim (Purdue), and Hyun Park (NCI) for running the first and second council of the AKIA. 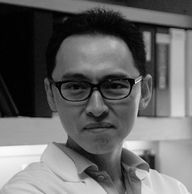 The newly formed third council (joined by Dr. Insoo Kang from Yale and Dr. Jeongsook Shin from UCSF) is excited to open a new chapter for the AKIA. AKIA has more than forty regular members, and it is now time to invite non-faculty junior immunologists. Hopefully, AKIA will play a major role in expanding scientific interaction between members from all locations and levels as well as in fostering new trainees for better opportunities to lead the field of Immunology. We look forward to seeing all of you in the future meetings. All donations go to organize and support AKIA conferences and related activities. AKIA is now fully approved by IRS as a 501c non-profit (tax-exempt) organization, and donations are tax-deductable.